Low-temperature thermoplastic pellets mold together quickly and easily to adapt handles, splints and equipment. 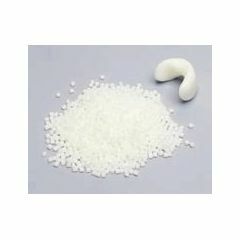 Thermoplastic pellets can be used for many different applications such as adapting wheelchair brakes, joysticks, mouthsticks, pens, pencils and toothbrushes. The pellets also can be used to build up handles and to fabricate small splints. When heated to 140 degrees F (60i degree C), pellets soften quickly and can be formed into a mass that can be molded and re-molded as needed. Heat in water, on a heating plate or in a microwave oven. The thermoplastic will stick to most porous surfaces. Used this for an art project, it did the trick! What is the weight or volume of the Thermo Pellets #1? Thermo Pellets #1 have a volume of 1 lb.